Close the Warner Centre, this corporate centre offers a host features offering about 100 office suites. Includes meeting rooms, break out areas and high speed internet access. Specials are now on offer! Conveniently located close to the 101 and I-405 Freeways and other local amenities. This centre is offering well designed offices with great administrative facilities and also provides easy onsite parking. The regional transport links present in the locality are also excellent, with an extensive selection of fantastic quality amenities and frequent and convenient services in operation throughout the area via extensive transport networks and infrastructure. 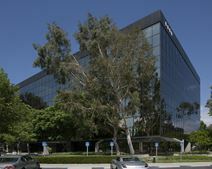 This San Fernando Valley executive centre comes with high end technology for videoconferencing and high speed internet. Also included are other onsite shopping amenities and gym centre. Business Centre close to the Warner Centre and 101 Freeway. Includes onsite retails stores, restaurants and other facilities. Business centre includes tastefully modern offices and conference rooms with high speed internet and receptionist.